Visit museums for free on International Museum Day, book a date night dinner and support an autism cause, shop at a fair and more! 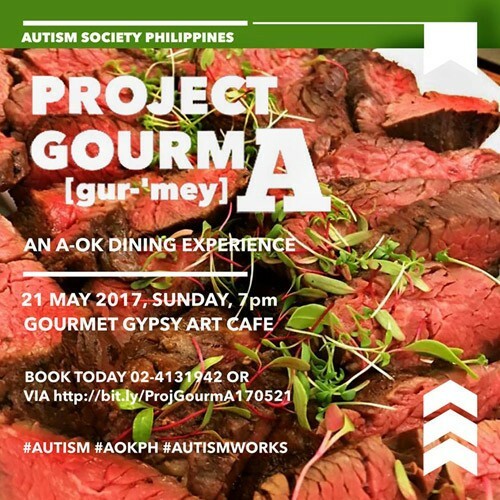 The Autism Society Philippines' Project Gourm-A is a dining experience like no other. 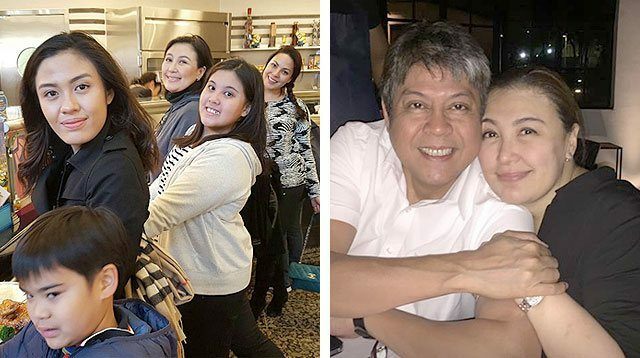 Happening at the Gourmet Gypsy Art Cafe in Quezon City this Sunday, May 21, 7 p.m., guests will be served by young adult cooks, waiters, cashiers and performers with autism. It will be a three-course feast with plates of sumptuous gastronomic delights. Dining fee is P1,000 with proceeds in support of the projects and programs of ASP. Register here. 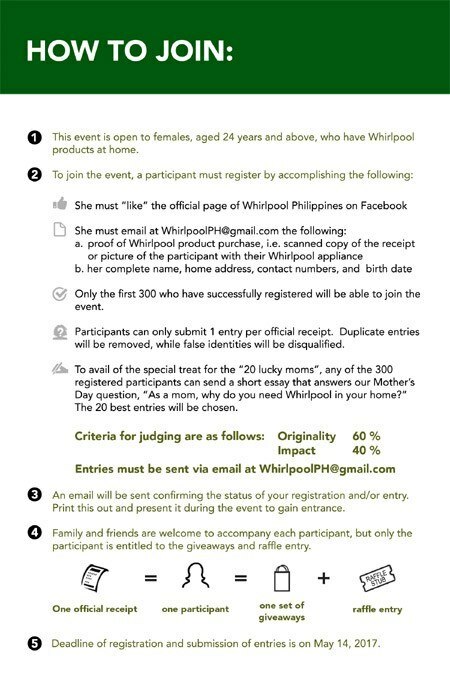 Whirlpool has a special treat for moms on it's 6th year anniversary. 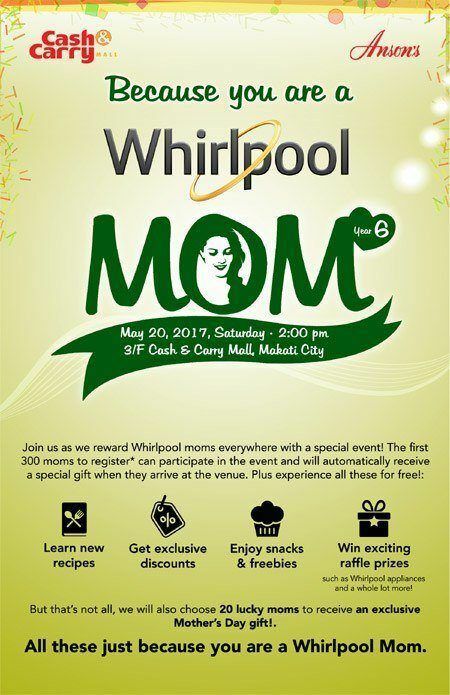 This Saturday, May 20, 2 p.m. at 3/F Cash & Carry Mall, Makati City, it's hosting an afternoon of activities just for mothers. There will be freebies, snacks, exlusive discounts, a chance to win raffle prizes and more! Only the first 300 moms to register will get access to the event, and only 20 of those will be chosen to receive a special treat. Find out how you can join in the poster above. 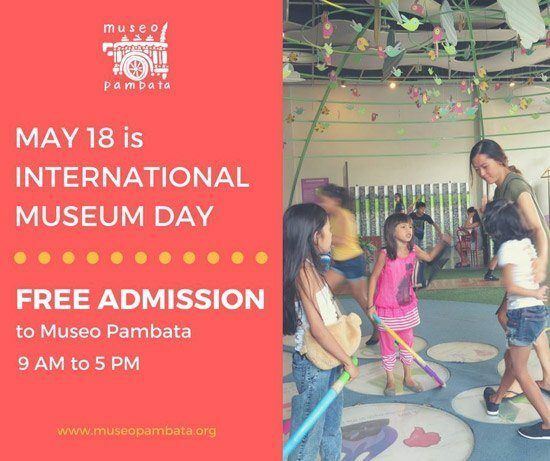 Celebrate International Museum Day with a free admission to Museo Pambata, located at Roxas Boulevard corner South Drive, Manila. Museum hours are from 9 a.m. to 5 p.m. Nothing like learning Philippine culture and history via the National Museum itself. 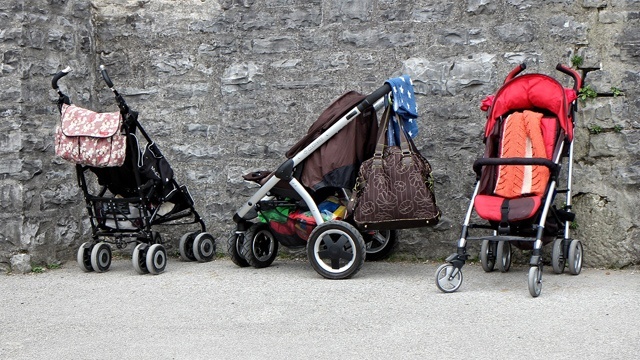 You might want to check out the Doodling and Lettering Workshop for Mothers at 1 p.m. and 4 p.m. 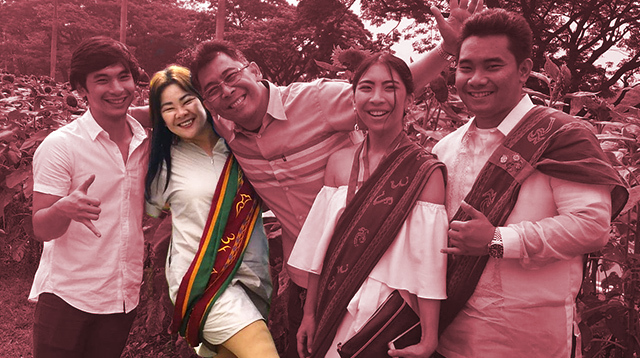 The Contested Histories Tour at the National Museum of Fine Arts and National Museum of Anthropology will also be worthwhile learning experiences. 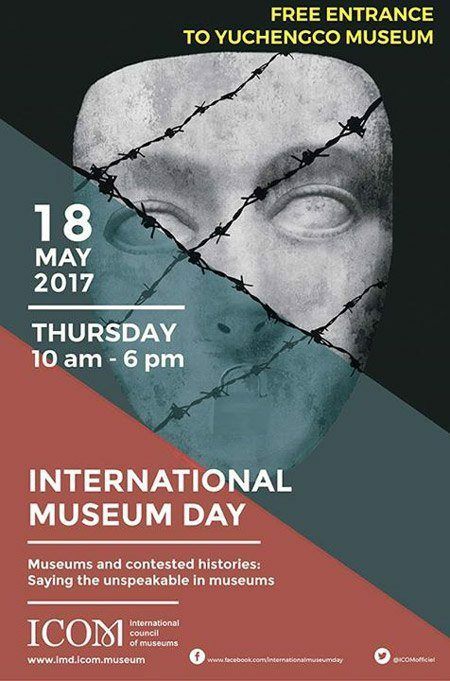 Yuchengco Museum offers a day of free admission to all its exhibitions and galleries of the worldwide celebration of International Museum Day. Located at the RCBC Plaza in Makati City, the museum is open from 10 a.m. to 6 p.m. The Metropolitan Museum of Manila along Roxas Boulevard is also having free admission for one day. On top of that, guests can sign up for guided exhibit tours to learn all about our geography, seas and sunsets in various parts of the Philippines. 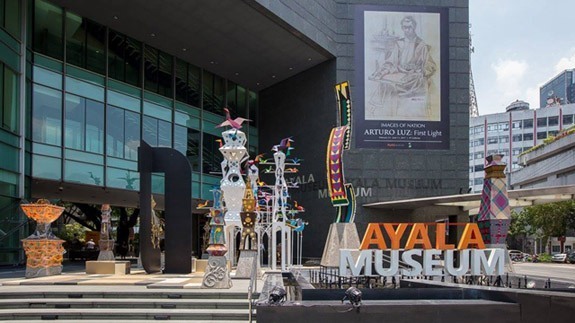 Instead of Thursday, the Ayala Museum is celebration International Museum Day a day later on Friday, May 19 with a one-day free admission. The museum’s three contemporary exhibits as well as special themed tours and delicacies from Mindanaoan food stalls will be available to visitors. 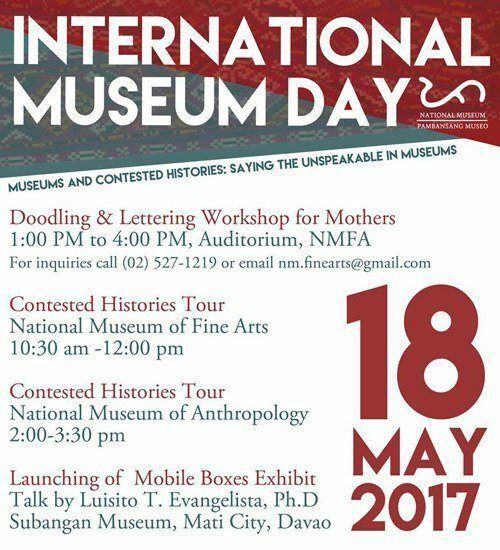 If you're not free this Thursday to visit Museo Pamabata, go on Saturday, May 20 instead! 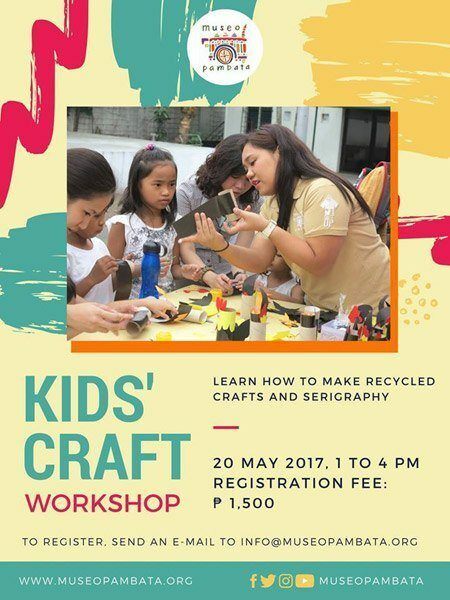 Let little one join their Kids' Craft Workshop, where she can learn all about serigraphy and how to make recycled crafts. 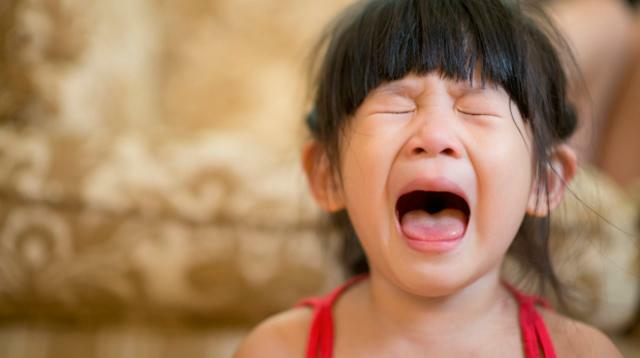 Participation fee is P1,500. To sign up, send an emal to info@museopambata.org. 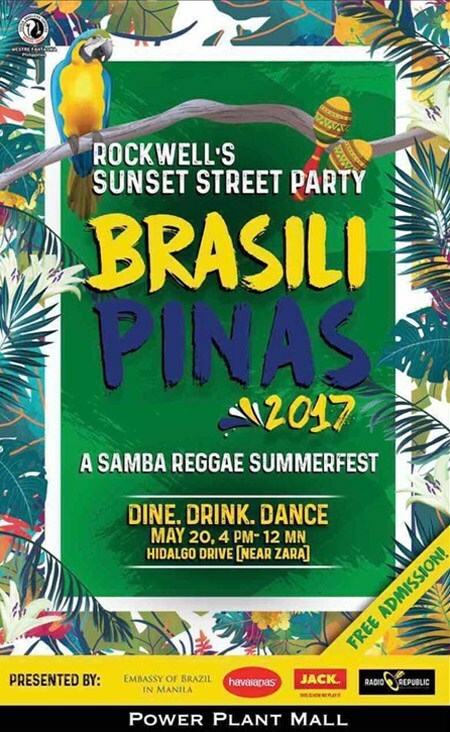 Head to a summer party for the whole family at BrasiliPinas, an annual celebration of Brazilian and Filipino cultures, happening this Saturday, May 20, from 4 to 12 m.n. at Hidalgo Drive, Rockwell Center, Makati. There will be music, dancing and lots of good food. 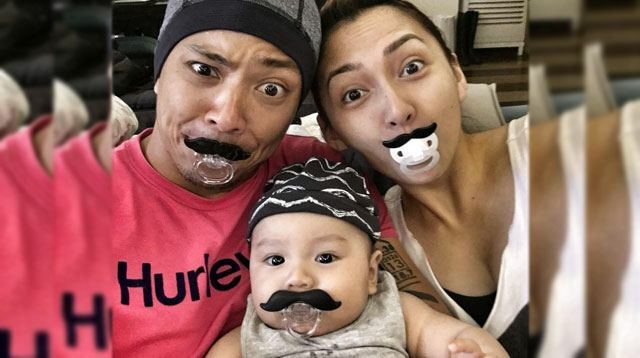 For the kids, activities like face painting will be set up as well as a trampoline and kiddie booths. Entrance is free! 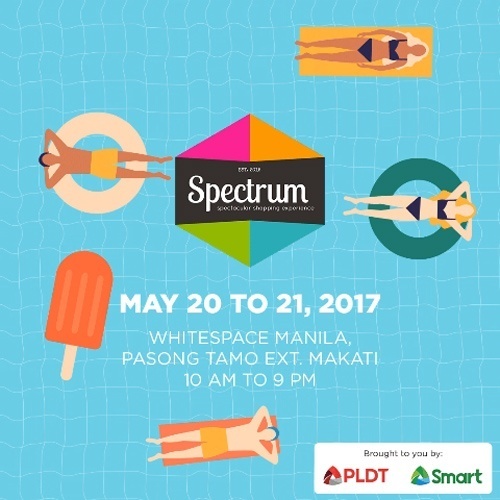 Stay cool and relaxed in the first indoor-outdoor fair in the country, Spectrum Fair Manila. A one-of-a-kind lounge and shop experience, you'll get to chill while you look through Pinterest-worthy booths offering lifestyle finds, artisanal food, trendy fashion pieces, furniture and more. 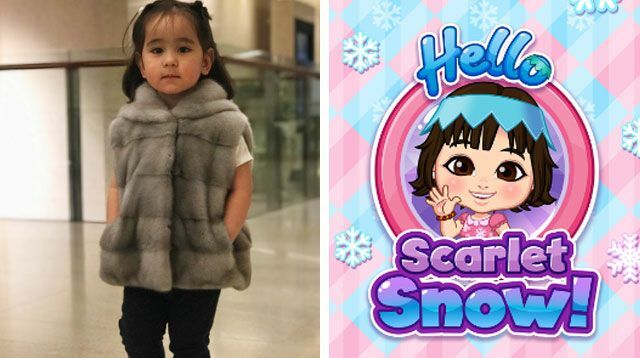 FYI, Scarlet Snow was at the last fair swelling sweets! 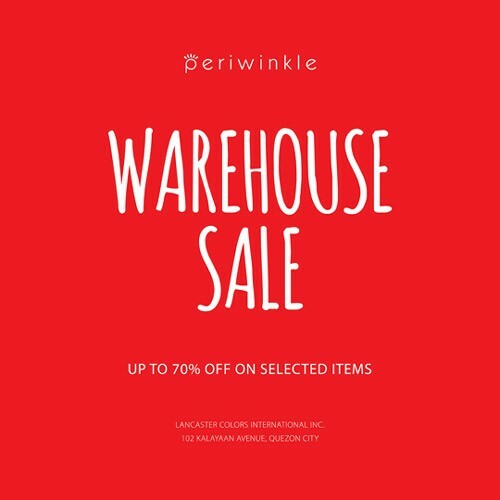 It's happening this weekend, May 20 and 21, from 10 a.m. to 9 p.m at Whitespace, Don Chino Roces Ave., Makati. 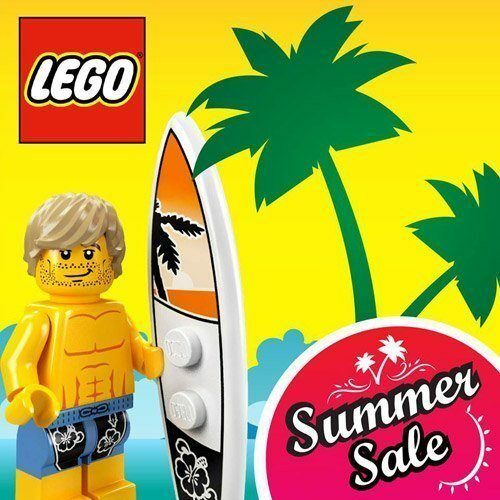 Get up to 80% of an assortment of LEGO items at the LEGO Summer Warehouse Sale! 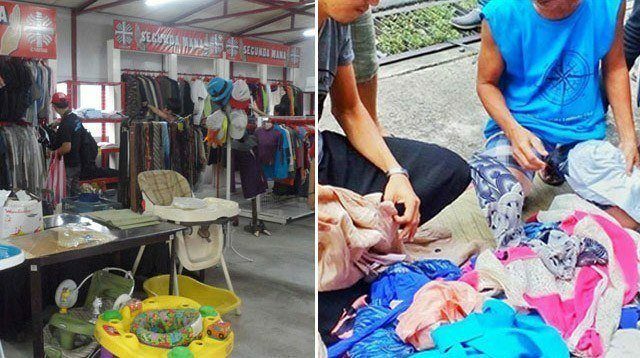 It's happening on May 17 to 21, at Circulo Verde, Quezon City. Discounted collectible include those from Duplo, Friends, Ninjago, Nexo Knights, Minifigures, and more! 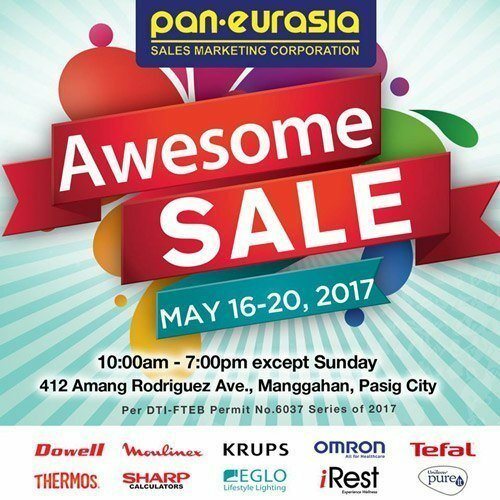 Lots of home items will be offered at a discounted price at the Awesome Warehouse Sale happening on May 16 to 20, at the Pan-Eurasia Warehouse in Pasig. 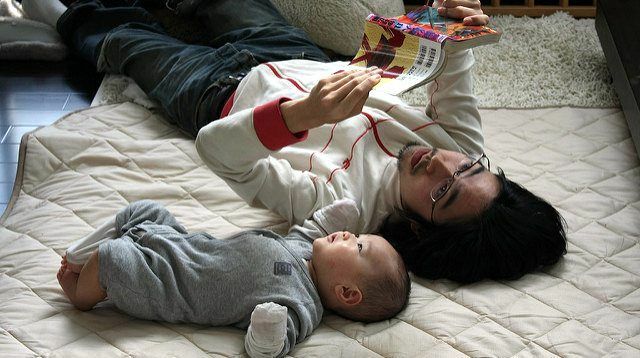 Participating brands include Dowell, Tefal, Thermos, Moulinex, Omron and more.